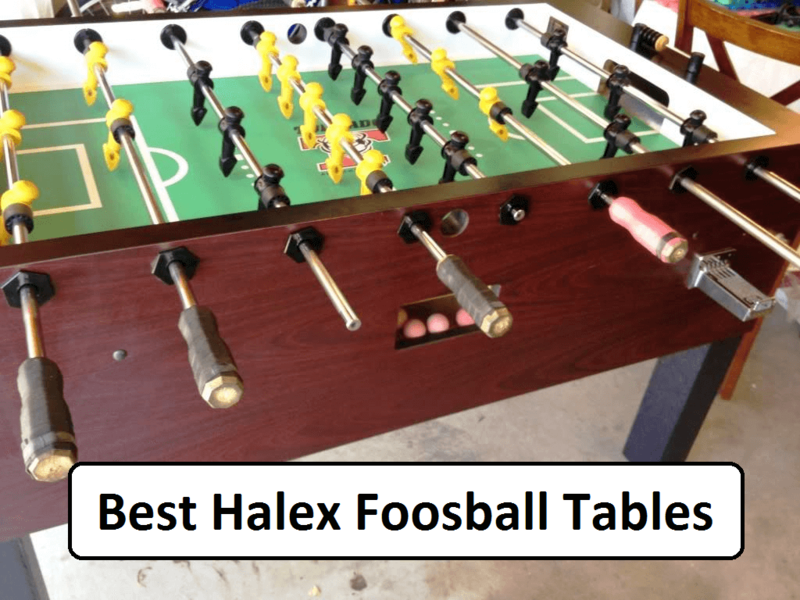 Halex Foosball Table - Find Which Are Their Best Models & Why! 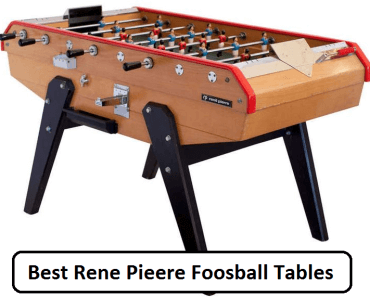 Want to find more which is the best Halex foosball table? That’s great because today we will present you the brand and which of their models are great, but first let’s take a look a bit at the history of this brand. 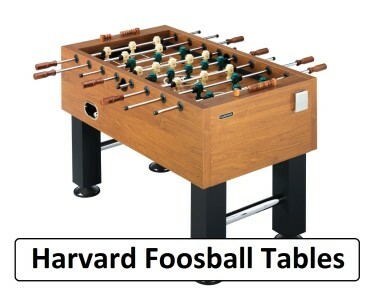 The Halex foosball tables have been around for over 80 years. The company’s main focus was table tennis and then they added to their production other table games and electronic games. Their quality foosball tables are not up to professional standards but are great for home and clubhouse uses. The company is no longer known as Halex but is owned by an umbrella company called Regent Sports. 2 What to Look for When Purchasing a Halex Table’s? Here we have listed some of the most popular Halex table models. Find more details about each model below. 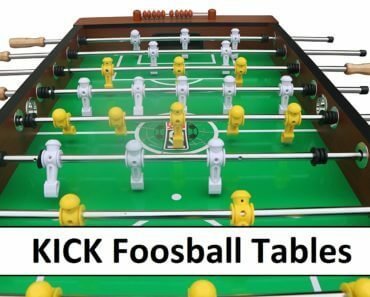 These are foosball tables for sale on Amazon. 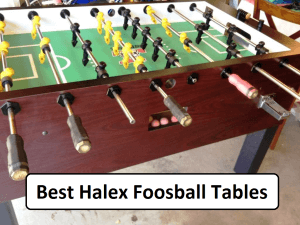 For this review, we are focusing on the Halex 50156 Monterey Foosball table, the Halex Galaxy 54inch Foosball table, the Halex 50570 Wood Foosball table and the Halex 50512 Defender 58inch Foosball table. This Halex wood foosball table is a remarkable table for home play. This table is 56.5in long, 36in wide, and 35in high. It is big and sturdy enough to withstand rough play while easy to store in any space comfortably. It has two distinct color players for the teams, red and Blue. The rods are 16mm thickness and have Black Hand grips for comfort. The table also has two soccer scorers and four foosballs are included in the package. The table is worth the buy and you are able to get an attractive piece of playing equipment for your game room and be able to have lots of fun with both friends and family. This foosball table is a home foosball player’s dream. The table is as sturdy as they come, with proper balance for very enthusiastic play. The piece is of wood and is quite attractive in any space it is placed. No conflict to it blending in with your traditional or contemporary furnishings. The Halex Monterey Foosball table is more impressive than it looks in the pictures posted on Amazon. You will be pleasingly surprised when you receive the package. The wooden rods tend to wear or become loose when rough playing overtime, but are easily remedied with a handy screwdriver. Owning this foosball table is highly satisfying! 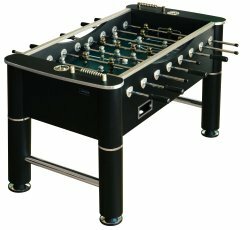 Halex Galaxy foosball table is of a higher end than any of the Halex models, and the price is worth the buy. 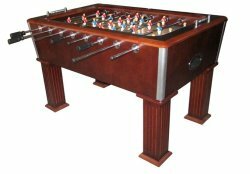 Purchasing this sturdy and attractive foosball table, you are sure to have lots of fun playing. Not the best for championship playing, however, you are in the league of those wanting to play and experience the euphoria of being in any tournament, when you play with friends and family on the Halex Galaxy 54inch Foosball table. Halex Defender foosball table is a nice table to have at home in your man cave to enjoy with your friends, who are foosball lovers as well. 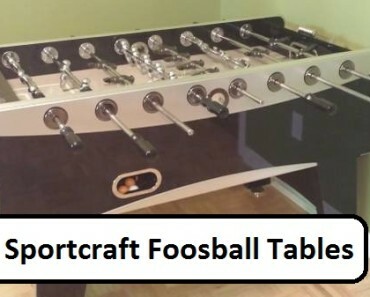 The price is not too out of the way for the quality foosball table, this table is a good buy. What to Look for When Purchasing a Halex Table’s? Purchasing a Halex Foosball table is not so difficult. Before you buy browsing in the stores is generally what is recommended. Viewing the article online may not give you a true picture of the item or items in question, so it is good to browse. 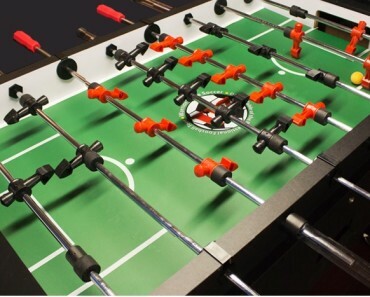 The Halex Foosball table is one such item that needs to be seen to make a decision. The one you see advertised on Amazon may not be the one you eventually buy. Going into the store you will see the specifications close and will probably decide to buy a higher end brand of the Halex than first wanted. 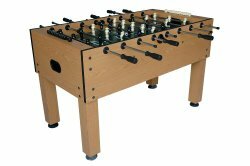 You may have chosen the Halex Galaxy 54inch foosball table or the Halex 50512 Defender 58inch Foosball Table; however, when you get to the store you find the Halex 50571 Pillar Wood Foosball table or the Halex 50545, 56inch Champion Foosball table to your liking. They may be a bit more in cost but having looked on the quality material used in manufacturing, sturdiness and the beauty of the foosball table, you are sure to fall in love with either. 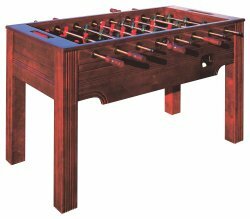 Not to say the Halex 50156 Monterey Foosball Table or the Halex 50512 Defender 58inch Foosball Table are not great foosball tables in their right, but the higher end tables have been manufactured with a more exceptional quality material. This means more hours of hearty, vigorous play with the expectation of more fun. Components are expected to last that much longer, while the playing harder. Deciding how much playing time will happen on an individual foosball table if the moisture absorbency of the table is minimal based on the material used to make the table surface; this should be at least 1in to 1 1/2in in thickness. The bearings and the handles that will be played at such a fast pace, not to mention the rods which must be made of steel and balanced properly, to ensure smooth delivery throughout the game. We hope you now know better about Halex foosball table models, so now is your time to take action and order one Halex foosball table that you like most and meets your criteria. 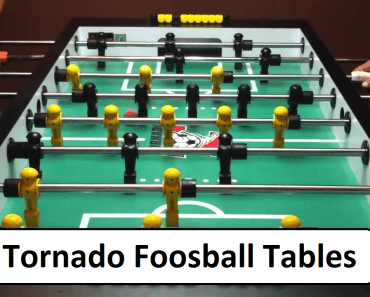 If you want to find more reviews take a look at foosball table reviews where you will find more categories and will have a better overview of what are all the types.